The Action Sport Holster is one of our most popular holster to date. It can be worn for daily carry, recreational range time or for it's designed purpose: Competitive Shooting. Featuring two ejection port cut out choices, the Action Sport Holster is universally accepted in all competitive shooting matches. By offering 300 firearm choices, 100+ light/laser options and other customizations, we offer you all the tools necessary to create the perfect holster to suit your needs. Above is the Smith & Wesson M&P 4.25" with Surefire XC-1 made for a left handed Competitive Shooter. Click on any of the images to order the Action Sport Holster. 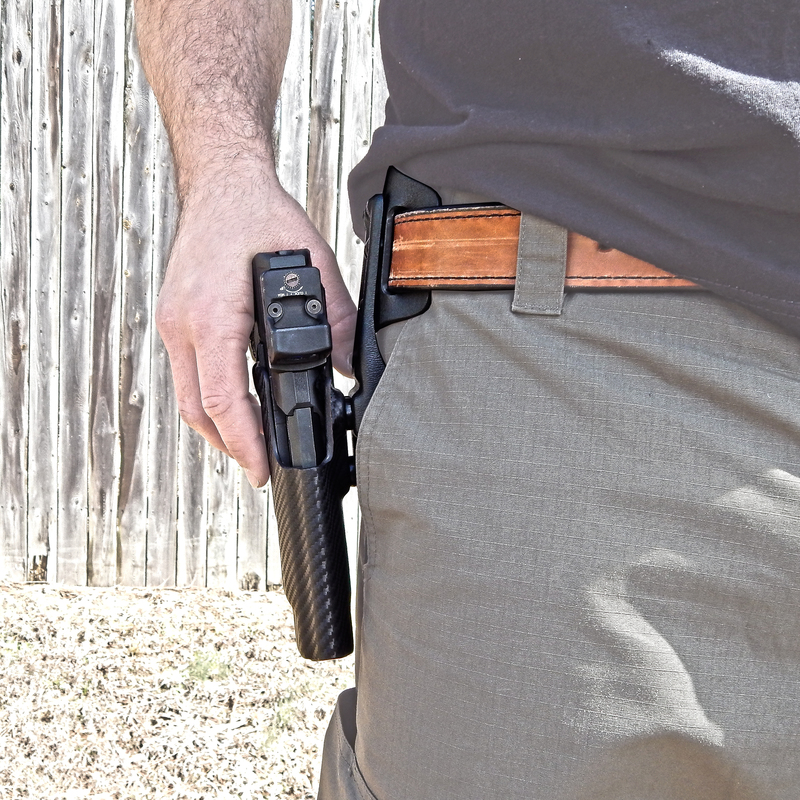 For reference, this holster is ejection port cut "A", mid ride height and 7.5° reverse cant.